Laser harp with 123D Circuits #MusicMonday « Adafruit Industries – Makers, hackers, artists, designers and engineers! Groovy project tutorial via instructables user jackie.chen. Enjoy Electronic design? Enjoy 3D printing? Enjoy music? Ok, no problem. Let’s make a simple project, and enjoy all of them. 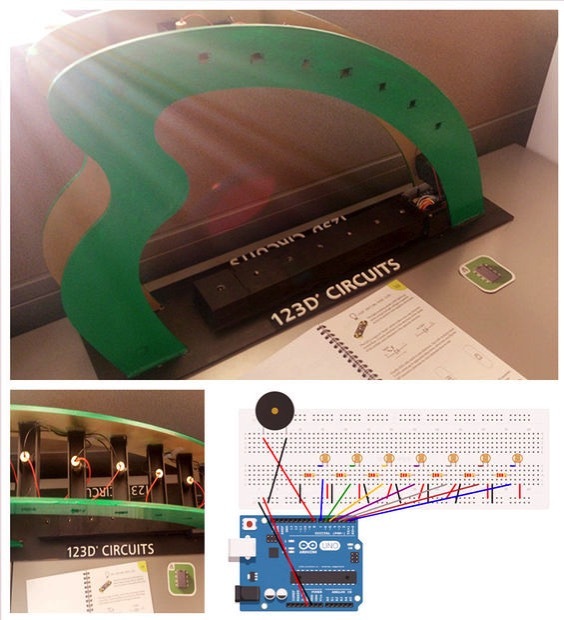 We made this as way to demo a few things you can do with our apps, 123D Circuits and 123D Design : Design circuits. Simulate the circuits online. 3D Model online and prepare for 3D Printing.